The more I see from Vacation, the more I feel sorry for Chevy Chase. 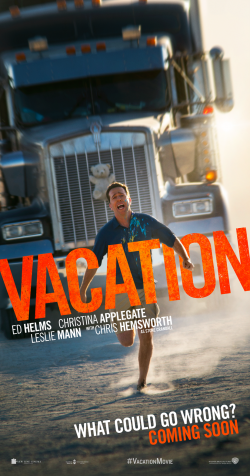 This version I’m sure will leave a dark stain on the great original Vacation movie. 32 years is a long time to wait for an, almost, duplication of the original but set in modern times. We have been sent three new posters. This set is called Moments as they show scenes of what’s going to happen in the film.